pH balanced! 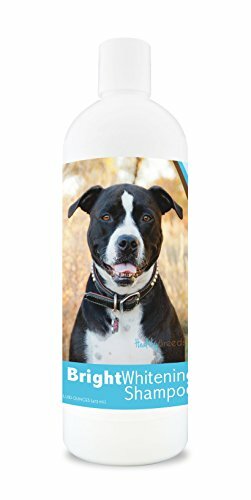 Healthy Breeds offers a high-quality bright whitening shampoo that moisturizes and nourishes your dog's skin and coat! MADE IN THE USA! Buy with confidence! All shampoos made in federally regulated manufacturing facilities! Excellent customer service and return policy. 100% satisfaction guaranteed!